The 12th Review and Steering Committee Meeting was organized to share and discuss among member‐nations the accomplishments, experiences, learning, and challenges of the past four years as well as the plans for the coming year. Back‐to‐back with this year’s meeting is a mini‐symposium that focuses on a specific case, Indonesia, as the country delivers its role in achieving the goals of CURE under its own national programs. Back‐to‐back with this year’s meeting is a mini‐symposium that focuses on a specific case, Indonesia, as the country delivers its role in achieving the goals of CURE under its own national programs. 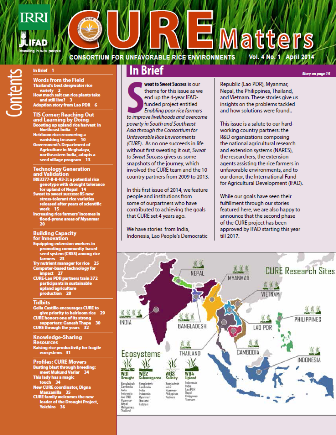 Each year, the key players and partners of the Consortium for the Unfavorable Rice Environments (CURE) meet to tackle the most significant accomplishments of the different partner‐countries, for knowledge‐sharing, building learning‐alliances, exchanging science‐products, and experiences in developing, validating, managing and delivering technologies and information to millions of resource‐poor rice farmers in Asia. Status/synthesis reports from the working groups. Mini-symposium: "Developing, validating and delivering seeds and NRM to the farmers in the sub-optimal rice areas in Indonesia." To download the complete program of activities, click here. Printed copies are also available at the secretariat during registration. Bookmark this page to get the latest materials. Meanwhile, please watch CURE videos by visiting our CURE Resources page. 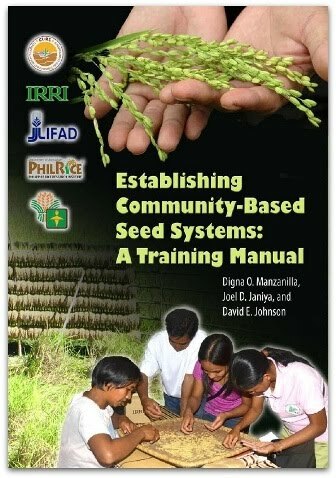 For concerns on this site, please contact Digna Manzanilla (d.manzanilla@irri.org). CURE work groups present status of their research. Indonesian Agency for Agricultural Research and Development (IAARD) hosts dinner. CURE holds mini-symposium followed by steering committee meeting. International Rice Research Institute (IRRI) hosts dinner and socials. Participants visit a drought-prone site and Sasak village in Lombok. Click on the slideshow to download pictures. Download the accomplishments for year 2012 by clicking on the links below. The document will then open in a new window. Click on File -> Download to save a copy, or press CTRL+S.